Ryan Bader now owns the Bellator light heavyweight heavyweight titles. He earned the former with a defeat of Phil Davis last year, and the latter with a Saturday night, Bellator 214 knockout of Fedor Emelianenko. With two belts now wrapped round his waist, Ryan Bader has the option of ruling over two divisions if he so chooses. Drifting back and forth between two weight classes, of course, will not be easy. Speaking at the Bellator 214 post-fight press conference, Bellator President Scott Coker discussed the two-division title range of Ryan Bader, and said that the promotion will give its new champ-champ some leeway if he decides he wants to rule over both divisions. That being said, he’s not afraid to end one of Bader’s title reigns if things get to congested in either division. 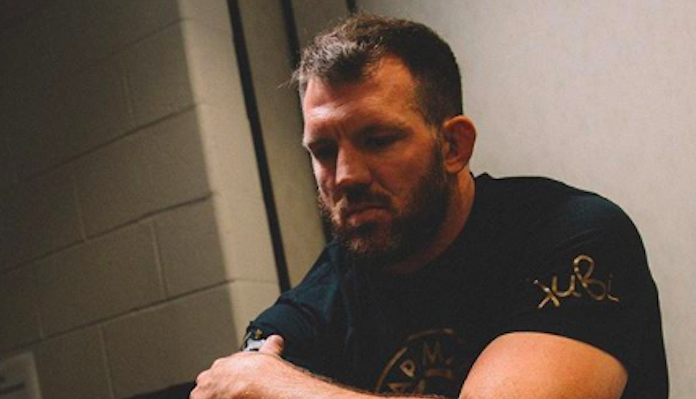 How long do you think Ryan Bader will hold onto his two Bellator belts? This article first appeared on BJPENN.COM on 1/27/2019.